Chair harness that allows tiny tots to sit self-supported on any dining chair. Lightweight and portable. 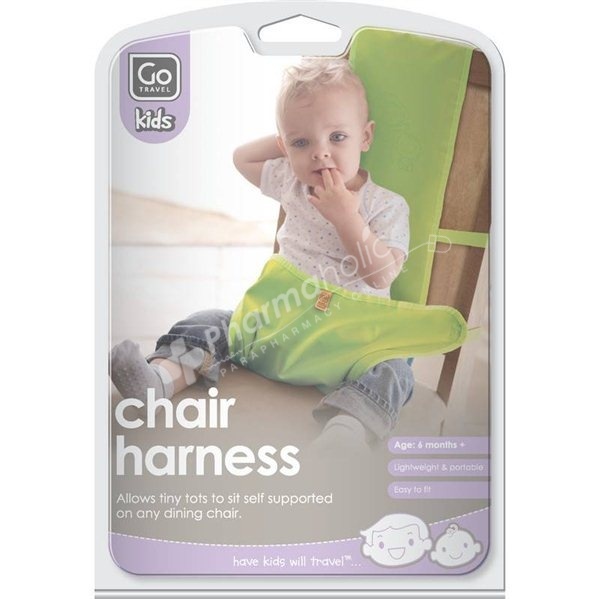 Chair harness that allows tiny tots to sit self-supported on any dining chair. Sold complete with matching drawstring pouch. Regularly check for wear and tear and replace if damaged. Discontinue use once child can sit unaided. This product is no substitute for constant adult supervision. Never allow a child to stand whilst in the chair harness. This product is not a substitute for a car seat. Always carefully read instructions that accompany any children's product, even if they appear familiar or easy to use.